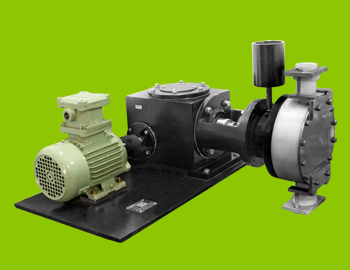 We offer a wide range of filter press pump which is centrifugal type with semi open- non clogging impeller pump comes with single row deep grooved heavy duty antifriction ball bearing with oil lubrication. These are straightened with filter press cake with liquid form (40-50% water). Filter press pump is specially designed for the industry that curves for the power cost easy maintenance with replaceable parts. These are widely used in filter press, effluent treatment plant, dyes, re-rolling mills, food industries and other intermediates. Besides, these are technically advance and properly quality checked on various parameters to offer defect free range at client's end.